UNH Carpenter Professor WIll Clyde has coauthored a book that is bringing to life Earth's long-buried history. We know the surface of Earth looked vastly different 2.5 billion years ago — but just how different, and just how events that happened millions of years in the past can give us insight into our world today, are questions that have long beckoned scientists to one location in northwestern Wyoming. Thanks to the work of Will Clyde and the Smithsonian’s Kirk Johnson, however, you don’t have to be a geologist or paleontologist to trace back through those layers of history. 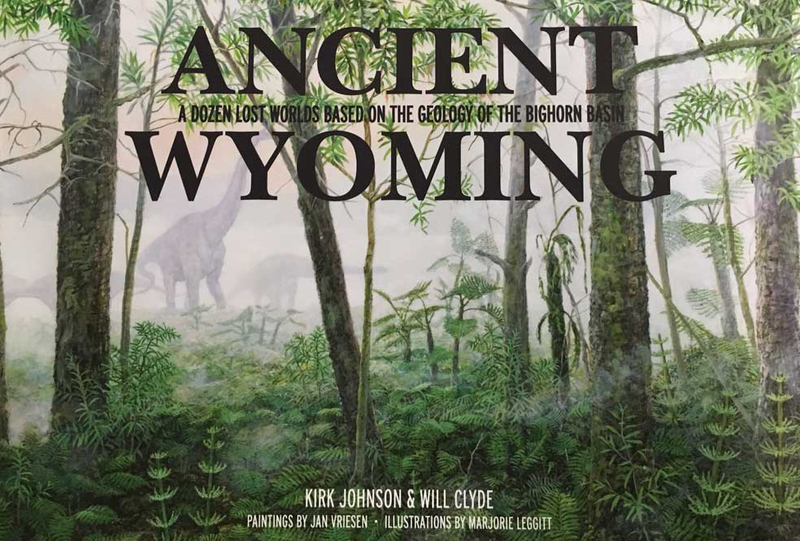 Johnson and Clyde’s new book, “Ancient Wyoming: A Dozen Lost Worlds Based on the Geology of the Bighorn Basin” focuses on what “may be the best place on Earth to tell the story of our planet,” since the Bighorn Basin includes rock from almost every geologic time period. Sponsored by a grant from the National Science Foundation to UNH and the Denver Museum of Natural History, “Ancient Wyoming” looks at Wyoming today and across ancient time, to periods when the region was part of an ocean, a rainforest, a prairie. Clyde is Carpenter Professor in the UNH department of Earth sciences. He has been conducting research in the Bighorn Basin almost every summer since 1991. As a geologist, working on the book posed a unique challenge for Clyde: tackling tough scientific concepts and terminology in a way that would be accessible to all audiences — especially young adult readers. 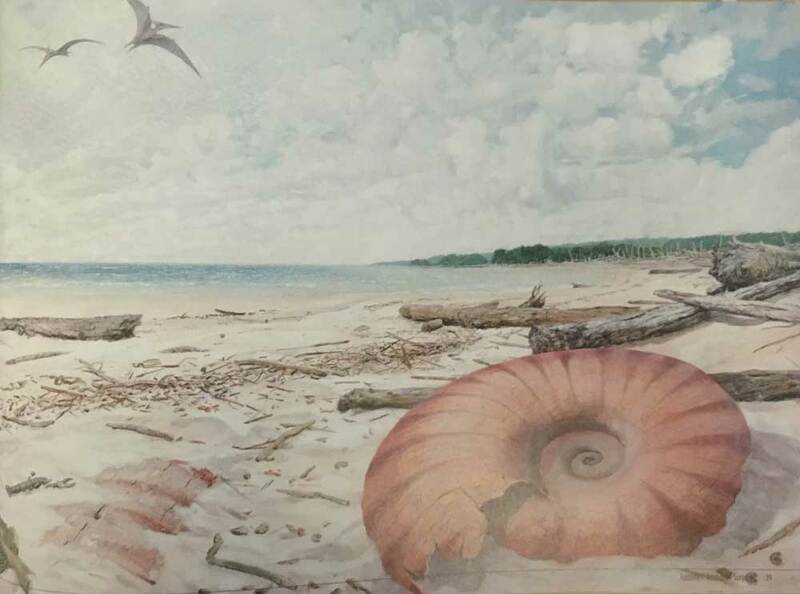 That meant Clyde and Johnson needed to meld their combined decades of research with paintings by Jan Vriesen and illustrations by Marjorie Leggitt to bring to life the landscapes and life forms of long ago. The result? Colorful pages and text that serve as a time machine into the past. How different was Wyoming in those ancient times? Artist Jan Vriesen's painting of Wyoming as a coastline. About 500 million years ago, it was part of North America’s coastline and was located near the equator. Some 400 million years in the past, Beartooth Butte was a coastal environment that provided a home to creatures like the Pterygotus — a sea scorpion with six-inch claws that grew to more than five feet in length. Fast-forward to 300 million years in the past, and Wyoming was a desert with sand dunes topping 40 feet in height lining its coast. And through all these ancient ages and those that would follow, creatures were forming, evolving and disappearing.